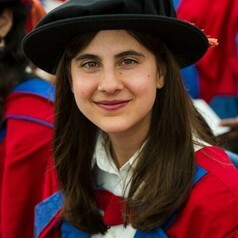 I graduated in 2011 from the University of Surrey with a 1st class degree in Nutrition and Dietetics (BSc Hons). After a year out working full time in the NHS as an acute dietitian I returned to the university to commence a PhD in Nutritional Sciences where I investigated the metabolic effects of intermittent fasting. Alongside my PhD, I continued to work part time in the NHS as a diabetes specialist dietitian. I successfully completed my PhD in 2016. I currently work at the university as a research fellow in nutritional metabolism, working on a large scale BBSRC funded study which aims to identify the biological mechanisms underlying the variability in LDL-cholesterol responses to saturated fat: http://www.bbsrc.ac.uk/research/grants-search/AwardDetails/?FundingReference=BB/P010245/1.